The days have not been very long since EME had a major stake in Nigerian music as a major record label. Founded in New York by Banky W and Tunde Demuren, EME thrived under Banky W’s leadership, pushing Wizkid as a flagship artist, Skales as a rapper and songwriter, Shaydee and Niyola as vocalists and Dj Xclusive as the label’s official DJ. The label’s rise set a tone for improved quality, aesthetics and style. Though EME looked successful on paper for many years, the label slipped under the radar following Wizkid and Skales’s exit in 2012 and 2014 respectively. In the years since, more music and project releases have come from the label, but none has made the impact or enjoyed the same level of success as the label did with more billable artists. But while this has all the looks of a run-of-the-mill, business failure written all over it, the underlying cause is perhaps a reflection of a bigger on-going shift in the music business. Labels have been at risk of extinction since the cusp of the digital age. In an era where anyone can cut out the middleman by digitally self-recording and publishing music, many artists have taken the job of managing their careers upon themselves. 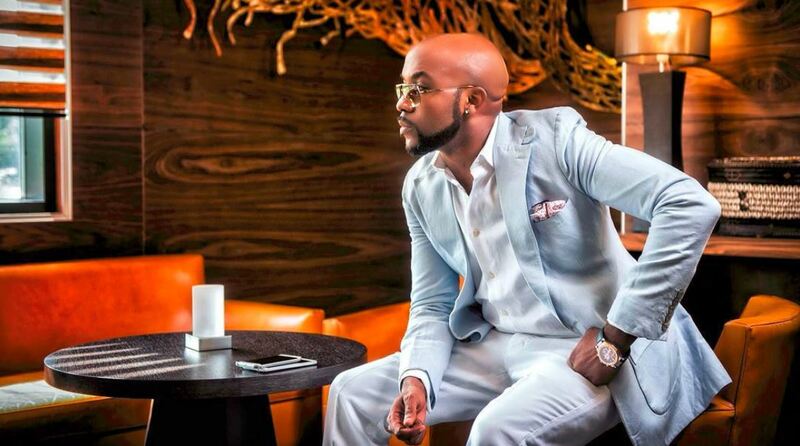 It’s hard to say how the trend has influenced the decision of EME and it’s management to shut down the group’s record label arm, but via a press-release released earlier today, Banky W outlined the group’s decision to turn to advertising, public relations and marketing amongst other media related specialities. When you really break down what a media company does, in this digital age, it totally makes sense that labels are going out of business. What’s the point of signing a 360 recording deal when platforms like NATIVE can handle promotion without having to play pseudo-manager in exchange for a cut of the profits from record sales? Asides big money marketing and publishing, labels don’t serve any real purpose since digitally-aided indie artists can distribute their music through streaming sites and promote it through the media. Last year, Mr Eazi released his debut project, Accra to Lagos with nothing but hype from affiliating with Wizkid’s Starboy music collective and the goodwill from a fan base he built organically from university tours. But you wouldn’t guess that from how much publicity he got off the EP, touring across continents and making rounds in international media. On an episode of BBC’s “Hits, Hype & Hustle: An Insider’s Guide to the Music Business”, the firm responsible for marketing and promoting his music revealed the schemes and campaigns employed to make his successful run last year a reality. The video explains how they “Seed The Track Into The Interweb” by building relationships with editors, influencers and blogs—all the things a media platform exists to do. There’s no real incentive to sign a record deal if music production and distribution no longer require big budgets and can be done independently. EME leveraging their strategic position and experience with breaking artists into the mainstream to start a media company could potentially be a golden idea. The label boss, Banky W released a statement via his Instagram where he explained the history of the brand and how they intend to restructure their services so they serve as a media agency concern itself with PR, talent management and production. EME’s ‘silent’ death as a label is a testament to the changing times with regards to artists management. The agency will no longer be overseeing music distribution like they did when acts like Wizkid and Skales were still with them. Instead, Banky is keeping his company relevant in this digital era by re-purposing his label to serve as a media company that’ll cater to artists’ branding, touring and project campaign needs. It’s an innovative way to maximize the influence and success the brand has built over the last decade.